The University Recruiter is an integral member of the University Talent team at VMware. As a member of this team you will work directly on our University recruiting strategies. You will provide full-cycle recruiting support including the selection process, screening and pre-qualifying applicants, interviewing, salary negotiation and closing of candidates. You will advise and guide hiring managers during the entire staffing process. Responsible for the recruitment and selection of candidates. Prepares and delivers all required feedback and correspondence to applicant/candidates. Functions as a technical specialist - sourcing, recruiting and identifying candidates for highly specialized and difficult-to-attract positions. Responsible for crafting and implementing recruiting strategies within the University space. Collaborates with managers to understand the skills required for each position in order to effectively match candidates to needs. 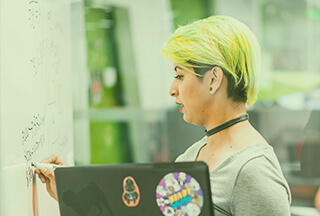 Educates and coaches hiring managers in VMware’s employment processes including interview techniques, selection process and hiring system processes. Prepares and present offers of employment while ensuring all necessary pre-employment paperwork and documents are provided by candidates prior to start of employment. Provides advice and counsel to managers on suitability of candidates to the job, the team and VMware. Implements hiring practices to ensure all documentation, interviews and actions are consistent and follow all legal and ethical standards. Responsible for ensuring a best in class “candidate experience” throughout the recruitment process. Coordinates pre-employment reference and background checks. Sells VMware, the position and the career opportunity through knowledge of VMware, its culture, benefits and products. Works independently and within a team on special, non-recurring, and on-going projects. Conducts research and analyzes data on assigned projects. Meets assigned metrics in all staffing activities. 6-8 years of recruiting experience with preference given to supporting a fast-growing environment. Experience executing all stages of the recruitment process including strategy and target development list, identifying, sourcing, screening, interviewing, referencing, closing and follow-up. Experience with University Recruiting or University Campus Management is a plus. Creative thinker who is able to successfully target candidates with out of the box sourcing strategies. Shown success driving successful placement in a high volume rapidly changing environment. Proven project management skills with the ability to lead multiple simultaneous projects in various stages of completion. Results-driven, organized professional who effectively handles contending priorities. Strong strategic and creative thinker who can distill recruitment strategy into actionable plans and who may execute on those plans.